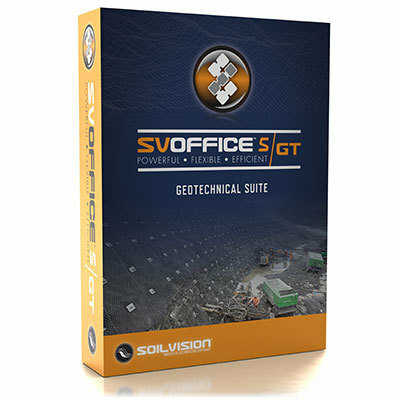 SVOFFICE™5/GT introduces a software suite with a geotechnical focus centered on an entirely new solver, the SVCORE™ Finite Element Engine. SVCORE™ has been developed over the past 20 years and is utilized in the newly introduced SVSOLID™GT and SVFLUX™GT modules. These two modules introduce new analysis capabilities such as a greatly improved stress / deformation analysis of elasto-plastic materials and shear strength reduction (SSR) slope stability analysis. SVCORE™ also implements anchor analysis and the SVSOLID™ and SVFLUX™ modules may be fully coupled to perform small-strain or large-strain analysis.